At this year’s Prolight & Sound Frankurt, Laserworld announced the release of their Showeditor FREE. 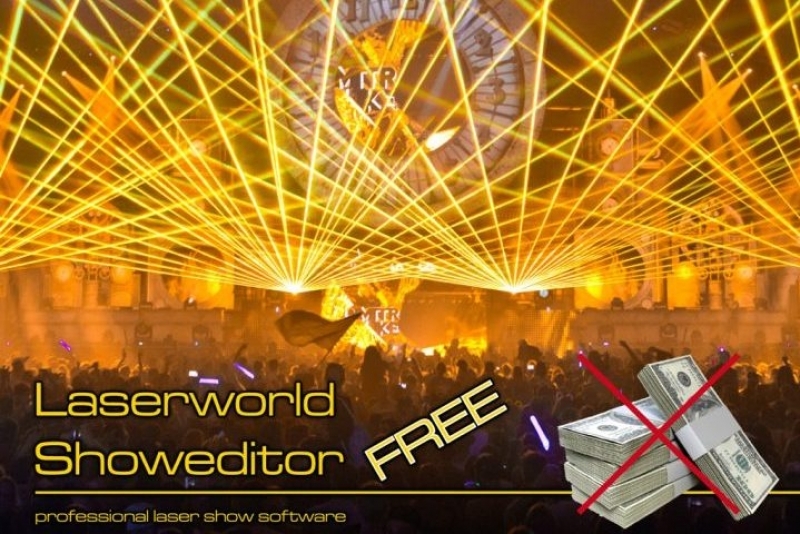 At this year’s Prolight & Sound Frankurt, Laserworld announced the release of their Showeditor FREE, a free ILDA laser show control software that incorporates the utmost features of the Laserworld Showeditor full version except the direct output to a hardware interface. The software can be used for creating logos, text, animations and aerial effects and exporting them to the standard *.ild file format. This file format is compatible to all ILDA standard SD-card playback systems for show laser lights, so the Laserworld Showeditor FREE can be used with SD-card lasers of almost any brand. Laser show playback systems are useful for many different applications: DJs may not want to directly control their laser with a computer during their set, as they obviously need to concentrate on that. So they often decide to have an automated show playing or control the lasers via DMX, together with the rest of the lighting rig. Multimedia installations also often require an automated playback system for the lasers in the show setup, and Laserworld Showeditor FREE can be used for such occasions as well: It is possible to export a complete timeline show track as ILDA file as well, so even whole show sequences can be created. 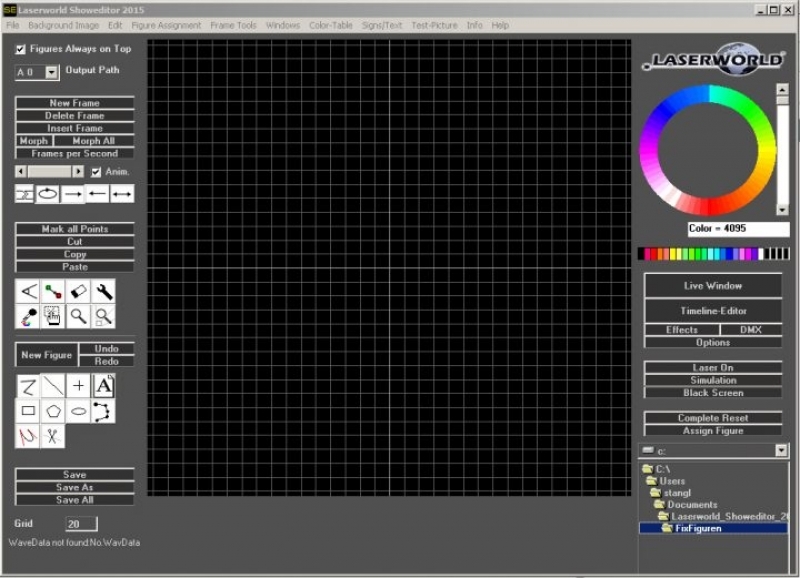 The Laserworld Showeditor FREE has all the frame and figure drawing tools that come with the full version. So the tracing of logos (from e.g. bitmap files) is possible as well as the easy creation of running or morphing texts. An abstract generator is included and various tools for special colour application to the figures are available. Laser systems with built-in SD-card playback system are e.g. the Laserworld PRO-800RGB and the Laserworld PRO-1600RGB. 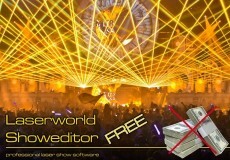 Laserworld Showeditor FREE creates fully compatible *.ild files for the use with these systems. But the files can be used with most playback laser systems of other brands as well.